Small business owners know how important securing financing is to start a business. But when it’s time to sell their business, small business owners may think the time to worry about capital is finally over. It’s not — with seller financing (also known as owner financing) becoming a popular funding method for buyers, 90 percent of small business sales are partially or wholly financed by sellers. Seller financing entails a small business owner acting as a bank and carrying a portion of the loan for the buyer. In return, the buyer then makes regular payments to the seller with interest. Also known as owner financing or seller carryback, seller financing can be beneficial to both buyers and sellers. In many cases, it can increase the number of potential buyers and lead to a faster sale. 1. Seller financing can accelerate closing time. The timeline of a traditional business financing method is usually tied to the bank’s schedule — which can take months, thanks to rigorous application and approval processes. With seller financing, the process can move as quickly as the seller wants, even in as little as a few weeks. Once a seller approves a potential buyer for funding and draws up a contract that both parties agree to, the deal is done. Note: Sellers shouldn’t be pressured to move quickly just because they can. Taking the time to thoroughly review a potential buyer’s financial and professional history is an important step to selecting the right buyer. 2. There’s no large upfront payment in seller financing. If a business owner is relying on receiving a lump sum of cash up front, then seller financing may not be the right choice. Since buyers make installment payments to the seller over the course of months or years, there is no lump sum payment like with a business loan. Many sellers require a larger down payment (15 – 20 percent) before agreeing to carry a note for any buyer. Receiving payments in smaller installments can be more beneficial than a lump sum payment — especially when taxes are considered. By receiving smaller payments over time, sellers don’t need to pay as much income tax, letting them see more of the money they earn from the sale. Note: Few sellers offer a loan for the full asking price of their business. In most cases, seller financing is for 5 – 60 percent of the total asking price, so buyers must use other means to finance the remaining balance. In most cases, business owners will receive a lump sum payment for that remaining balance. 3. Interest payments can make seller financing a lucrative investment. Seller financing might seem like a last-ditch effort to someone selling their business. To the buyer, however, it signals enough confidence in the business to put skin in the game. Carrying the note of the business can be an essential factor in a buyer’s decision to move forward. Sellers have an opportunity to increase the principal value of their business through future interest payments from the buyer. Interest rates for seller financing can range between 6 – 10 percent and can add up to a significant amount after a term lasting several years. 4. Working with a professional firm can simplify the process of selling a business. Selling a business can be time-consuming and complex. For small business owners who want to streamline the process, working with a seller service firm can be a huge help. Seller services help small business sellers complete their business valuation to determine asking price. They also help vet potential buyers, which can save business owners from hours of work and provide the reassurance they need to select the right buyer faster. Ready to sell? Try Seller Suite – everything you need to price and sell your business. 5. Seller financing can widen the pool of potential buyers. One of the biggest challenges to selling a business is finding the right buyer. Sometimes buyers who would otherwise be interested might not qualify for traditional financing method with strict approval requirements like business loans. With seller financing, business owners can increase the number of people who are eligible to buy their business. 6. There is no ‘clean break’ with seller financing. Some business owners may want to close a deal, sell their business, and move on as soon as possible. Seller financing makes this ‘clean break’ nearly impossible. The original owner’s ability to receive ongoing payments is reliant on the business’s future success. Many owners who offer financing find themselves tied to the business after the deal is done. 7. Seller financing may require more effort on part of the seller. Seller financing allows existing business owners to have a greater say in who will take over their business, but with that comes greater responsibility. In traditional financing, a third party (usually a bank) decides who is qualified for funding. With seller financing, the business owner must not only decide who qualifies for financing, but which candidate has the greatest knowledge and vision to run their business successfully. This leads to sellers typically needing to spend considerable amounts of time reviewing applications to determine which candidate is the right buyer. The decision to seller financing is not one to take lightly. By understanding the ins and outs of seller financing before diving in, small business owners can ensure the process goes as smoothly as possible. 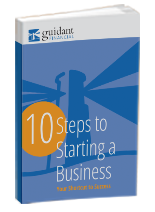 To learn more selling your business, check out Guidant’s Complete Guide to How to Sell Your Business.